Honda (UK) and Ariel Motor Company have renewed their 16-year strong exclusive engine supply agreement which sees the famed Atom powered by the Civic Type R engine, and the new off-road Nomad by the Civic 2.4 unit. The news comes as the two brands celebrate the 1500th Honda-powered Ariel roaring out of the small factory in Somerset, where just eight highly skilled build technicians spend 100-200 hours painstakingly hand-crafting one vehicle each at a time, from start to finish. Over the last 16 years 1,500 new Ariels have been built here – just a few day’s work for Honda’s Civic-producing Swindon plant. Walking into Ariel’s small British workshop is like walking into a luxury tailor to be measured for a bespoke suit. No two Ariels are the same: each is made to order and there are thousands of possible configurations. Ariels are extremely affordable, very fast and will run and run at a track day with almost zero maintenance. At the heart of every Ariel lies the engine, however. Since 2003 Ariel has been using as standard the Civic Type R engine to power these pocket rockets, firstly with the flagship Atom and now, with the Civic 2.4 unit, the new off-road Nomad. 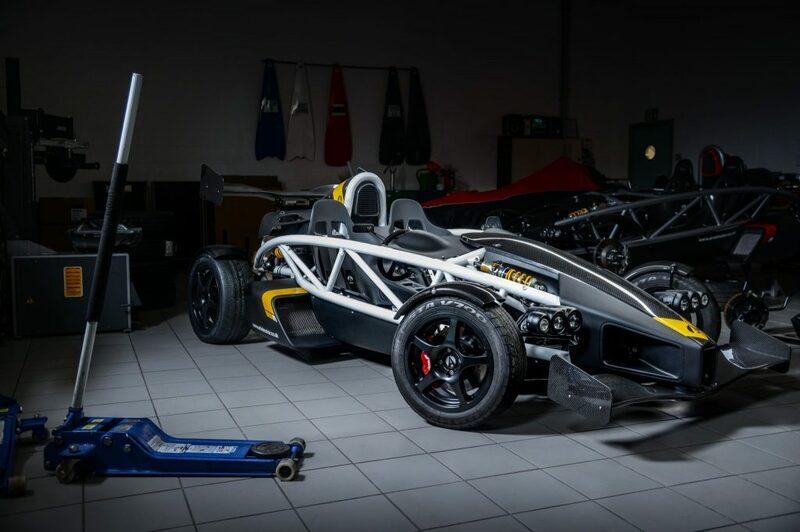 Atom base models use a completely untouched unit off the shelf to offer 245bhp with Ariel-tuned ECU and exhaust or, it can be supercharged to either 310bhp or 350bhp offering a 0-60mph of less than 2.7 seconds and a top speed of more than 155mph. As well as custom-building the Atom and new off-road Nomad, Ariel recently introduced the Ace motorcycle which, true to form, is also exclusively powered by Honda. Under the cowling of each Ace sits a V4 1237cc Honda unit, delivering 173bhp with a top speed of 165mph. For further information on the Ariel Atom, Nomad and Ace please visit www.arielmotor.co.uk.